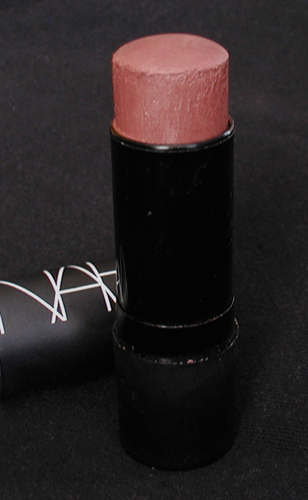 Nars Mambo eyepencil. I haven't felt like wearing eyeshadow, much, so eyeliner is key (and faster to put on, anyway). I had three liners back in August of this year, and found I reached for this liner more and more, to the point I tossed the other two (which were getting old) without needing to replace them. 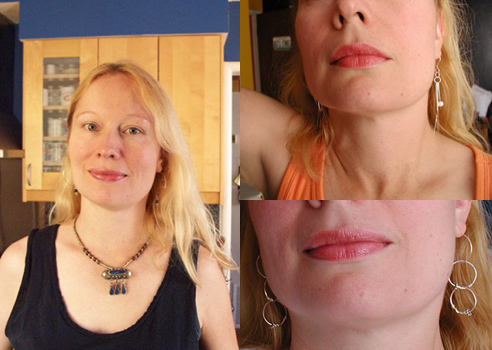 Dr. Hauschka lip products. I wouldn't have guessed these would be so good (no offense, but I always thought of Dr. Hauschka as the skincare guys, not the color cosmetics guys). It makes logical sense though, if you think of lip products as (tinted) skincare for lips. Nars The Multiple in Malibu. This is really useless as a multiple-purpose product, at least this shade is. It's too dry to use as lipstick, and mediocre as eyeshadow. But it's my ideal shade of warm-toned bronzed-rose blush, wearable year-round. Montale perfumes. These are so strong, I spray some in the palm of my hand and apply it that way. Perhaps the perfect cure for ephemeral scents, and the ordinary. 24. If you've watched this show even once (or eaten at an In 'n' Out), you'll immediately recognize the references in this parody. If you haven't, I would highly recommend both! Those Montales sound amazing... I hate weak, derivative perfumes!